The four-bedroom duplex available through Pramaporn Nimpinij of Knight Frank Thailand blends tropical luxury with island lifestyle perfect for holiday escapes. Set in the ultra-exclusive Malaiwana estate with spectacular views over Nai Thon Beach, the four-bedroom duplex residence offers tranquillity, luxury and impeccable hospitality. 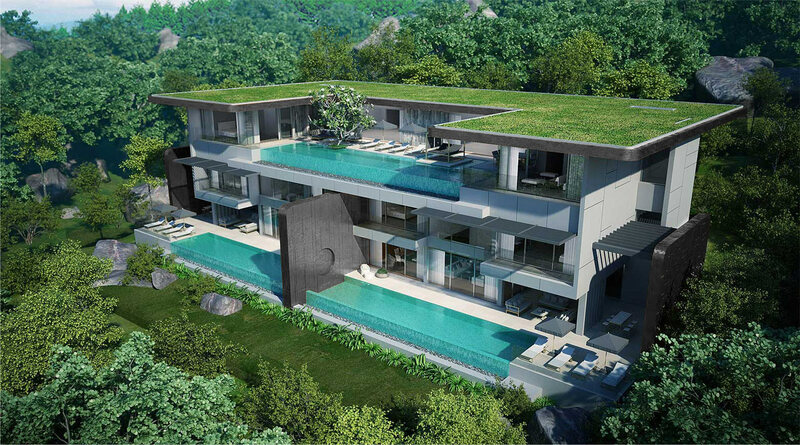 The design of the property means that Andaman Sea sunsets and sunrises can be enjoyed from nearly every room sliding doors merge outdoor and indoor living spaces to make the most of Phuket's tropical climate. A central staircase connects the three bedrooms on the upper floor to the open-plan living, dining and kitchen area, pool terrace and the fourth bedroom on the ground floor. The top floor comprises two master suites with stunning views and a guest bedroom. One of Phuket's most stunning beaches, Nai Thon Beach is a short walk from the Duplexes. A range of seaside vendors and eateries are available along the beach and the Trisara resort, only a few kilometres south, offers residents a range of dining options. For more information including additional photos, amenities, area map and pricing visit Knight Frank here. To arrange a private inspection or to enquire about the property phone or email Pramaporn Nimpinij of Knight Frank Thailand via the contact details listed below.